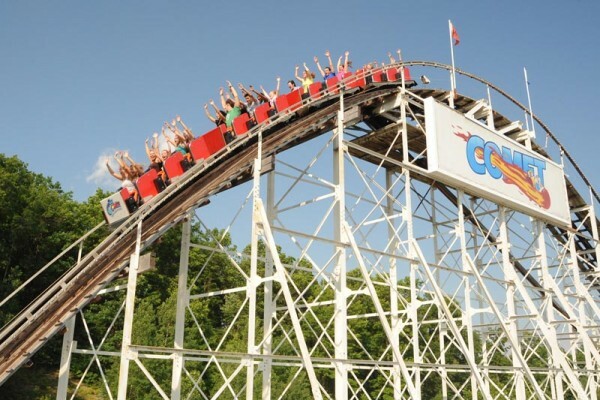 Find unique Lake George vacation attractions and things to do near our resort! The Adirondacks offer recreation, exploration and exciting attractions for kids of all ages! The Hyde’s collection is a truly remarkable group of works and is a testament to the vision of our founder, Charlotte Pruyn Hyde, and her husband, Louis Fiske Hyde. Works from the collection – the Rembrandt, the Rubens, the Picasso, the Renoirs, and the Hassam, for instance – are constantly in demand by museums around the world as they plan their exhibitions. A large part of this collection is installed in the elegant atmosphere of historic Hyde House, an American Renaissance mansion built in 1912. Adirondack Winery is the premier winery of the Adirondacks, featuring award-winning, unique fruit-infused and varietal wines, all hand-crafted locally by their distinguished wine maker. Visit their tasting rooms in the heart of Lake George Village or downtown Bolton Landing for a wine tasting and a shopping experience unlike anything else! You’ll get to taste several wines of your choice for a small fee and you can even take home a souvenir glass. Plus, the tasting room features gourmet cheese, locally made fine foods, delicious chocolates, unique souvenirs and gifts. 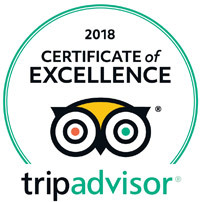 Adirondack Winery has consistently been named as a top winery, attraction and shop on Trip Advisor, Best of Lake George, and the Post Star’s Best of the Region – visit to find out why! 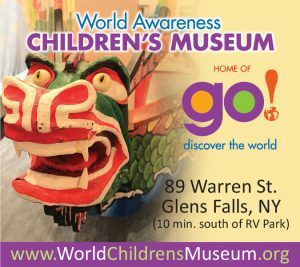 Welcome to the World Awareness Children’s Museum, a NYS Designated Charter Museum since 1988 featuring international art, fashion, music, dolls, toys…come discover the world with us! Designed for children and their families with a mission to inspire curiosity and foster understanding and appreciation of worldwide cultural diversity. During World War II, 563 Destroyer Escorts battled Nazi U-boats on the North Atlantic protecting convoys of men and material. In the Pacific they stood in line to defend naval task forces from Japanese submarines and Kamikaze air attacks. Today, only one of these ships remains afloat in the United States, the USS SLATER. 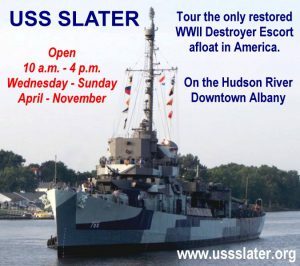 Moored on the Hudson River in Albany, New York, the USS SLATER has undergone an extensive restoration that has returned the ship to her former glory. The museum offers hour-long guided tours, youth group overnight camping, and a historic location to hold naval reunions. 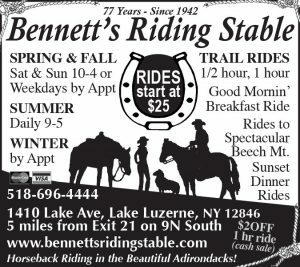 Family owned and operated, Bennett's Riding Stable has been in operation for over 75 years. Since 1942 folks have been making memories riding our trails through the beautiful Adirondacks, crossing streams, viewing wildflowers, and wildlife. We offer numerous ride options including hand led rides for our youngsters, half hour and the most popular the hour long rides. With reservations we offer a two hour morning adventure ride to a spectacular view from the summit of Beech Mountain. The Sunset dinner ride not only includes a fabulous view at the top of Beech Mountain but a complimentary steak, chicken or salmon barbecue prepared at the top. 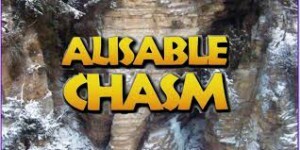 Just after the last Ice Age (Pleistocene) and 15,000+ years in the making... there was a chasm. Before the first flight at Kitty Hawk...Before the first World War...Before there were theme parks and roller coasters...Before the Winter Olympic Games were created...there was Ausable Chasm. 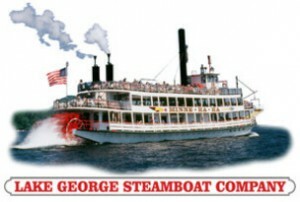 The Lake George Steamboat Company offers a variety of Cruises on their 3 large cruise ships, The Minne-Ha-Ha, an authentic Paddlewheeler, The Mohican and the Lake's largest cruise ship, The Lac du Saint Sacrement. From 1 hour cruises to the only complete tour of historic and scenic Lake George, The Queen of American Lakes. Two oceans, billions of sea creatures, intense metamorphosis, an unusual fault and melting glaciers have exposed some of the oldest marble in North America to form some of the youngest caves in the Adirondacks. 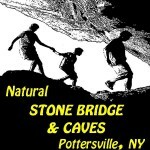 A hands-on geological NY wonder and long time favorite of earth science classes, come explore the largest marble cave entrance in the east. 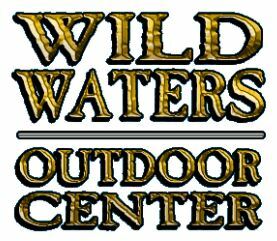 Discover white water rafting in New York at Wild Waters Outdoor Center! Experienced and professional guides are here to make your white water rafting vacations unforgettable! Contact us to plan your Adirondack kayaking or Hudson white water adventure!